Always choose a reputable breeder that cares for their dogs with love. Blue nose pitbulls have become somewhat of a luxury to own. Their popularity has skyrocketed over the past years and it’s only going to continue to increase. 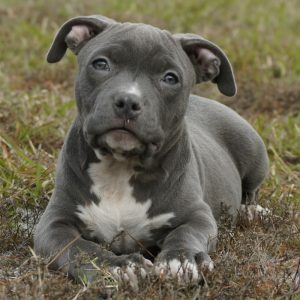 Due to their unique color tinge and appearance, blue nose pitbulls have garnered much attention from dog owners and lovers everywhere. If you are looking to bring home a blue nose pitbull, it’s important that you select the right breeder to do business with. Since many dog owners want to find a blue nose pitbull dog for sale right away, they tend to purchase from the first business that they see while disregarding the price that they’re paying. It’s critical that you consider the reputation of the breeder and obtain some background information prior to making your purchase. This will ensure that you’re not just throwing away your money. Most breeders will jack up their prices due to the surging popularity of the dog. However, by mass breeding, you could end up with a pup that might have health issues and such. This is a crucial step that you must follow. A breeder’s reputation can say a lot about the treatment of their dogs as well as their health. Be sure that you read all about the breeder and the history of their business. If others have had poor experiences and have seen mistreatment of some dogs, don’t hesitate to pass on them, even if they’re carrying the exact dog that you want. This could lead to behavioral issues and other problems in the future. Iron King Kennels has the finest XXL pitbull puppies for sale. For more information, visit Iron King Kennels online today.